As explained in this article, I’m spending some time leading up to January 24th’s Academy Award Nominations not by predicting who will be on the final ballots, but by presenting who I think should be nominated for an Oscar in a perfect world. It’s the first annual Jonathan Lack’s “Dream Academy Awards,” and over the course of four articles, we’ll be going through nearly every category, with winners announced sometime in February! Today, we continue with the Music and Sound Categories, which I believe are particularly important awards. I try to pay special attention in my reviews to the powerful, influential role sound can play in a movie, and as a bit of a music aficionado, I collect my favorite movie scores as they are released. I’ve put quite a bit of thought into this, and I hope my opinions hold at least a little bit of weight. 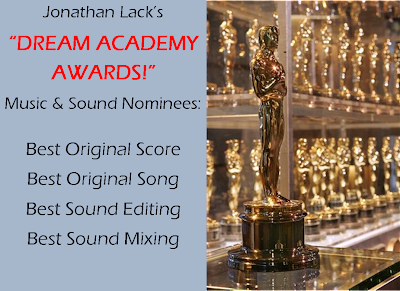 Without further ado, continue after the jump to read about my nominees for Best Original Score, Best Original Song, Best Sound Editing, and Best Sound Mixing. I firmly believe that the Score is one of the most important pieces of any film that chooses to use one; a good score can elevate every moment, and a bad one can bring the whole movie crashing down. Fortunately, 2011 was a really strong year for scores – my nominee shortlist had about fifteen titles – both from well-established composers and from some really strong new voices (for Americans, at least). Not only do all these scores do amazing things for their respective films, but they all work on their own as enjoyable standalone compositions (and have gotten an awful lot of repeat play in my iTunes library). Kicking things off, we have two submissions from the man himself, Mr. John Williams! Now, I know what you might be thinking: “Jonathan, you’ve badmouthed the “Tintin” score on multiple occasions? Why have you nominated it?” Well, yes, I have badmouthed it, and I feel really sorry about that. The theatre I originally saw “Tintin” in had a sound problem (not all channels were being used), and I didn’t fully grasp this until I went to see “Tintin” a second time and realized I hadn’t heard much of the score the first time around. 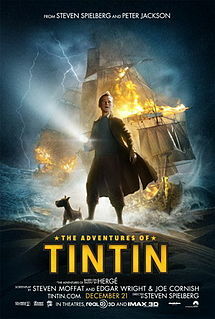 In truth, “The Adventures of Tintin” finds Williams at his finest; it’s best described as a high-energy mix between his work on “Raiders of the Lost Ark,” “Harry Potter,” and “Catch Me if You Can,” but taken as a whole, the score really is unique, and more importantly, matches the action so perfectly at every turn that when I open a “Tintin” comic now, I hear Williams’ score in my head. His work on “War Horse” is in some ways more impressive – the core motif shot right into the pantheon of great, iconic Williams themes for me, and the rest of the material is very strong as well – but it also has to work too hard at times to compensate for the film’s severe dramatic failings. Still, it’s the best part of an otherwise disappointing movie, features some fantastic instrumentation, and stands on its own as an impressive composition. It belongs in this field. Alan Silvestri did a great John Williams impression this year with his work on “Captain America,” which sounds like the long-lost alternate score for “Raiders.” I love every minute of it, especially the instantly-iconic theme for the title character. Alexandre Desplat, one of several contemporary composers vying for the title of “modern-day-John-Williams,” delivered one of his best scores for “Harry Potter and the Deathly Hallows Part 2,” enhancing an already emotional movie with some hauntingly beautiful pathos of its own. “Lily’s Theme” makes me tear up every time I hear it (you can read my full review of the score here). Alberto Iglesias’ score for “Tinker Tailor Soldier Spy” is a triumph on every possible level, an essential component in building the film’s mood, atmosphere, and impeccable mise-en-scene. I described it as “ambient” in my review of the film, but listening to the score on its own, where it sounds just as impressive, if not more so, that’s not an entirely accurate description. But no film in 2011 relied on music as heavily as “The Artist,” and Ludovic Bource’s playfully rousing score may be the single biggest contributor to the otherwise silent film’s success. Now we move into the more experimental side of things. 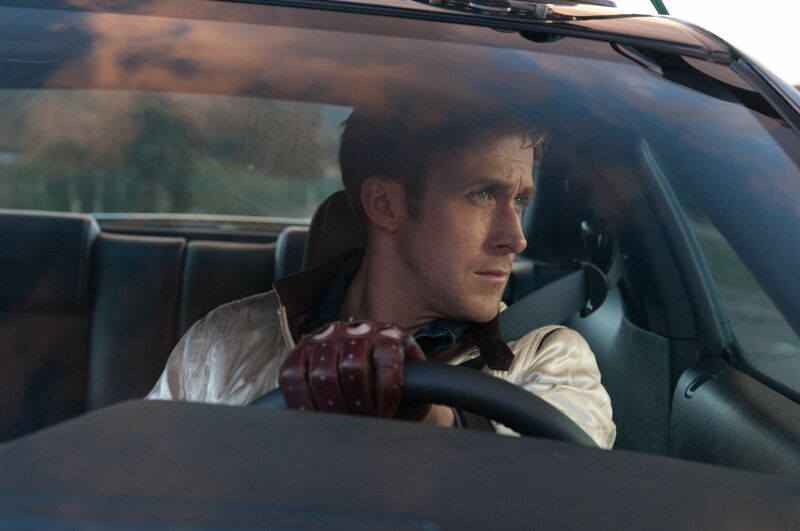 I think it’s well established by now that “Drive” is a ridiculously cool movie, and so much of that is due to Cliff Martinez’s effortlessly awesome compositions. He’s in total command of the music, which almost acts as a series of cue cards, telling us when we should be holding our breath and when it’s okay to inhale again. But even that doesn’t quite compare to the avant-garde genius of Trent Reznor and Atticus Ross’ magnum opus “The Girl With the Dragon Tattoo” score. Chances are, you’ve probably already heard what I think of this one, since my review of the soundtrack is far and away the most read article on my site. But to reiterate: I think it’s one of the most compelling sets of music I’ve ever listened to, infinitely more engaging than the dramatically flaccid film, and if I have any knock against the music, it’s that it works much, much better outside the movie than in it. 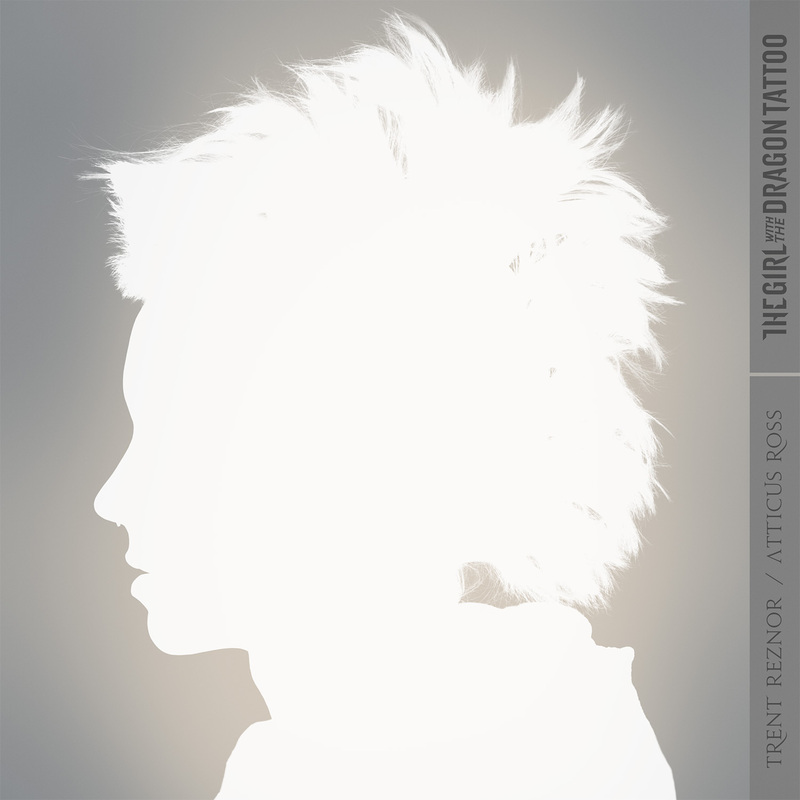 Perhaps that makes it a minor failure as a film score, but as a standalone composition, it was the best ‘album’ I heard in 2011. One notable omission before we move on: Alexandre Desplat’s score for “The Tree of Life” is a masterpiece, as good or better than any of the eight score discussed above, but Terrence Malick used only a few small bits and pieces of it in the movie, so it’s not fair to include it in these nominations. Still, it’s a real treat that his unused compositions were still released, and I can’t recommend the soundtrack highly enough. This is a category that should probably be done away with at the Oscars. There simply aren’t enough original movie musicals to justify the category’s existence, and giving the award to whatever sappy song Celine Dion sings over the end credits is completely, utterly stupid. A song played during the end credits has no bearing whatsoever on the quality of the film, and therefore has no business being awarded at a film award show. 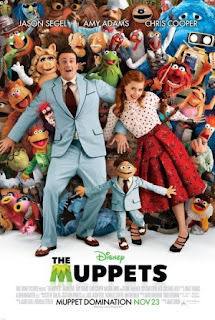 But 2011 did give us the greatest original movie musical of a generation in “The Muppets,” so I can at least fill three-fifths of this category with great Bret McKenzie songs. McKenzie, best known for the riotously funny “Flight of the Conchords,” was the perfect choice for the film, and his songs are a big part of what makes “The Muppets” work as well as it does. I’ve been listening to the soundtrack on a loop for months now, and while “Life’s A Happy Song” is probably my favorite, “Man or Muppet” is just sidesplittingly funny and “Pictures in My Head” gives the film its beautifully introspective thesis statement. They’re all good. If McKenzie isn’t on stage accepting an Oscar this year, something is seriously wrong, because it’s been years since an “original song” has done this much for its respective film. 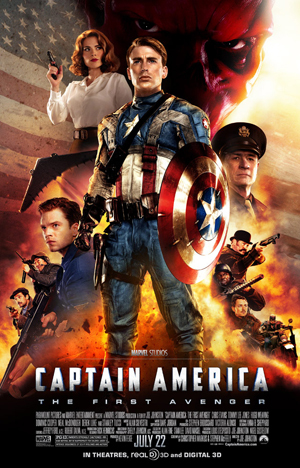 But if “The Star Spangled Man” wins, I’d still applaud. Alan Menken’s loving homage to the recruitment songs of WWII is a highlight of “Captain America,” and no moment this year made me smile quite as broadly as the montage this song is set to. It simply defines the wild, infectious sense of fun that made “Captain America” such an irresistible experience. Finally, I did cave and include one end credits song, the aptly titled “Shelter” from “Take Shelter.” It’s an excellent number, dark, contemplative, and catchy, perfectly capturing everything the film is about. I’ll admit, I’m not a sound expert, and I hope I’ve accurately captured the difference between “Sound Editing” and “Sound Mixing.” It’s an important distinction. To me, “Sound Editing” means the way sound functions in the movie, which sounds have been captured and how they are used to create an aural experience. “Sound Mixing” is about properly balancing and orienting sounds to create an immersive and effective soundscape. With that in mind, “Drive” defines good sound editing. It’s a film I personally would use to teach ‘sound’ in a film studies class, and I wrote up an entire piece about how effectively the film uses sound to create tension and build atmosphere. As with every other aspect of its production, “The Tree of Life” requires a very precise and controlled use of a wide variety of sounds to bring Terrence Malick’s vision to life, and indeed, the sound editing is an absolute marvel. “Hugo” and “The Adventures of Tintin” both rely heavily on sound to bring their respective worlds to life, “Hugo” because it takes place in a fantastical train station and “Tintin” because it’s animated, and both soundtracks rise admirably to the occasion. Finally, “Transformers: Dark of the Moon” was a massive technical triumph, and as an IMAX viewing will attest to, the soundscape is so detailed and powerful and overwhelming that the film clearly belongs in both sound categories. 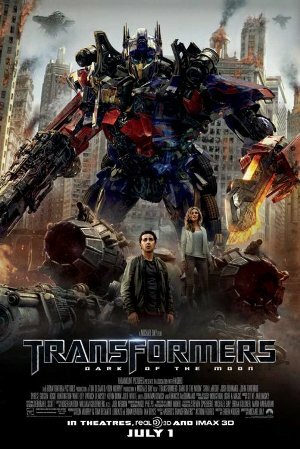 In “Sound Editing,” it gets recognition for the number of foreign and imaginative sound effects needed to breathe life into the Transformers and their epic battles. Given my above definition of sound mixing, blockbusters with big, enveloping mixes own this category. “Transformers” is an obvious frontrunner, but the mixing in “Fast Five” plays a huge role in pulling off that awe-inspiring final stunt with the bank vault. “Super 8” is also here based primarily on the merits of one sequence, the train crash, which any viewer who saw this theatrically can agree was a breathtaking sonic powerhouse. “Harry Potter” is a masterpiece of mixing from start to finish, and because much of the battle of Hogwarts takes place off-screen, it’s up to the mix to imply much of what we aren’t seeing. Suffice it to say, it fulfills that roles admirably. And “Melancholia?” Well, if you saw this film in a theatre with a good sound system, you’ll agree that there’s one scene, right at the end, that is one of the single best examples of mixing ever created. It makes you feel, in every fiber of your being, the destruction of the Earth, and for that moment alone, it deserves a nomination. This time in the ACTING categories!